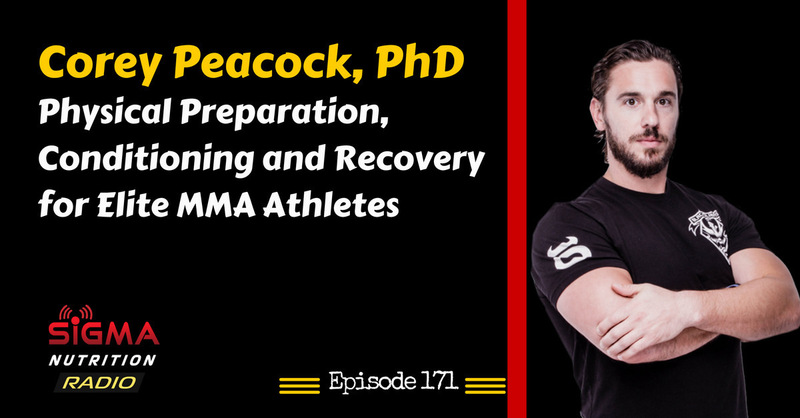 Episode 171: Corey Peacock, PhD discusses how he implements science-based practices in the physical preparation of the elite MMA athletes he works with, including Anthony Johnson, Michael Chandler, Matt Mitrione and Rashad Evans. Dr. Corey Peacock is currently serving a dual role as the Head Exercise Physiologist and Performance Coach for MMA’s the Blackzilians fight camp. In this role, he is responsible for contributing physiological evaluations, strength & conditioning, and injury prevention methodologies. His experience as both a Strength Coach and Sports Performance Researcher have allowed him to implement state of the art injury prevention technology and coaching techniques within the team. A former collegiate football player and coach, Corey graduated from Kent State University with a Ph.D. in Exercise Physiology, focusing his application on human performance. 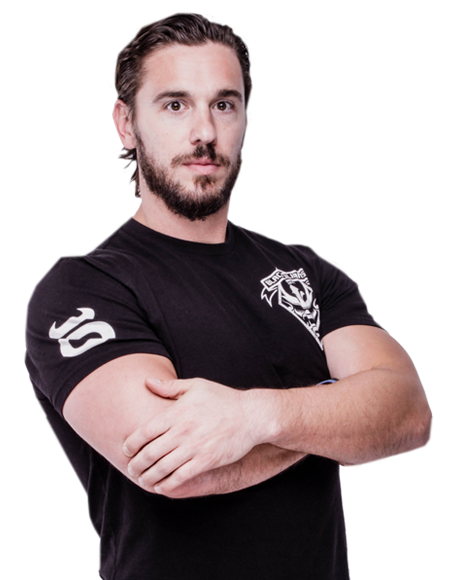 He works closely with many Strength & Conditioning professionals from the NFL, NHL, MMA and NCAAF and is regarded as one of the top Performance Coaches and Sports Scientists in South Florida. Along with coaching, Dr. Peacock also works as a professor in the Department of Health and Human Performance at Nova Southeastern University. As a researcher, he has contributed multiple peer-reviewed publications integrating the fields of exercise physiology, athletic performance, and supplementation.